Draw, Trace, Never Make a Mess on this Water Painting Doodle Book. 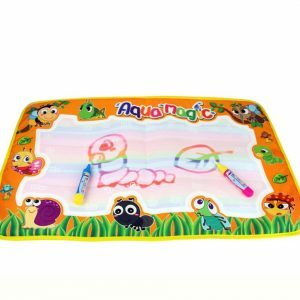 Just fill the Magic Pens with water, grab a friend and draw on the large magic mat pages. Colours will magically appear, and then will slowly disappear after 4 to 5 minutes. 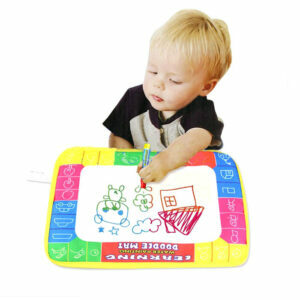 Encourage creativity, build fine motor coordination, help kids master writing their alphabet and numbers. 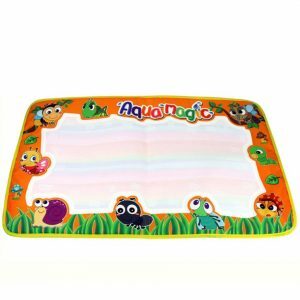 Great for when travelling in the car (as there is no mess), or for when you have a playdate and want the kids entertained! Makes the perfect gift idea for any child.